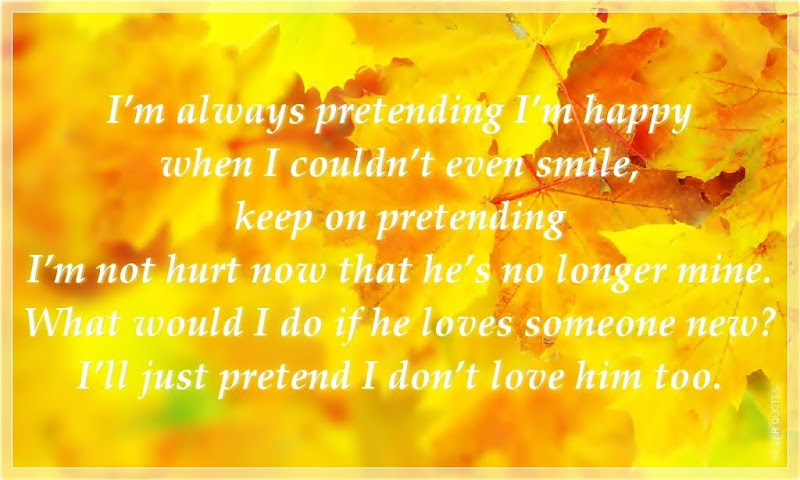 I’m always pretending I’m happy when I couldn’t even smile, keep on pretending I’m not hurt now that he’s no longer mine. What would I do if he loves someone new? I’ll just pretend I don’t love him too.